Martin Vladimirov is an analyst at the Center for the Study of Democracy (CSD), the oldest independent public policy institute in Bulgaria. Previously, Martin has worked as an energy and economic analyst for The Oil and Gas Year, CEE Market Watch, as well as an independent energy consultant on several natural gas projects in the GCC and MENA countries. He is an affiliated expert at the European Geopolitical Forum in Brussels and has been a remote political risk analyst for IHS and Argus Media writing assessment briefs for Bulgaria, the Balkans, South Caucasus and Central Asia. He has written for the Petroleum Economist and Oil Price. Martin has a B.A. in Economics and Political Science from Adelphi University in New York and a Master of Arts in International Affairs (MAIA) from the School of Advanced International Studies (SAIS) at Johns Hopkins University, where he specialized in energy resources and the environment. What was the most profound impact that Crimea’s annexation had on regional energy security? The Crimean crisis and the continuing instability in Eastern Ukraine have turned into a rude wake up call for Europe’s energy security vulnerabilities. Russia has demonstrated its capacity to yield political and economic influence on the countries in Central and Eastern Europe (CEE) and the Black Sea regions by leveraging its dominant position on their energy markets. By annexing Crimea, Moscow revealed that it is ready to destabilise even a strategic energy transit country for the sake of achieving its foreign policy objectives. What about the effects on the energy security of NATO Black Sea member states (Bulgaria, Romania, Turkey)? In particular, do you see any direct consequences from this geopolitical event on Bulgaria’s national energy policy making? The annexation of Crimea and the civil conflict in eastern Ukraine was used by Russia to pressure governments to support its flagship project, South Stream, at the expense of the countries’ long-term strategy to diversify their natural gas supply and in defiance of EU’s strategy for building a liberalised common market. Bulgaria is a prime example, in which Russia tried to leverage its dominant position on the gas market to capture the Bulgarian political elite in attempt to push the government in circumventing the EU energy rules and accelerate the South Stream project. Efforts to diversify the country’s gas supply remain limited and much needs to be done still to realise the key strategic projects for the country including the interconnector with Greece and Romania, the gas storage expansion and the development of the potential domestic gas reserves. Given the close economic ties between Bulgaria and Russia, could you offer some insight into the domestic debate regarding EU sanctions against Russia? How had their introduction affected the Bulgarian economy and how did Bulgaria cope so far? It is believed that close to one third of the Bulgarian economy is directly or indirectly influenced by Russia. The Russian economic footprint is most potent in the energy sector, where Moscow dominates the natural gas sector, the wholesale and retail fuels market and the technology and reactor fuel supply for the only NPP in the country. Since the EU sanctions targeted key Russian energy businessmen such as Genadii Timchenko, Gazprom was pressured to replace Stroytransgaz as the leader of the consortium building the Bulgarian section of the South Stream pipeline because of Mr. Timchenko’s majority share in the pipeline construction company. In this respect, the EU sanctions proved to be a blessing in disguise for Bulgaria as the European Commission began an infringement procedure against the government for violating the EU public procurement law in the case of South Stream. This was ultimately the reason why the Bulgarian government suspended the project in August, 2014 pre-empting the decision by the Russian president Putin to ultimately halt the project in early December accusing Bulgaria of directly sabotaging the pipeline. The countermeasures initiated by Russia did not have a serious effect on the Bulgarian economy as they targeted just a limited amount of agricultural exports to Russia worth not more than EUR 15 million in total. It is yet unclear whether the Russian countersanctions impacted the number of Russian tourists visiting Bulgaria. In fact, their number fell sharply by around 20% in 2015, but it seems that the more important factors for the tourist outflow had been the economic contraction at home and the organised trips to Crimea provided by the Russian government to public employees. The Ukrainian crisis had many consequences: energy security became again a European priority, South East Europe finally received the deserved attention from Brussels and it also made possible such a project as the Energy Union. What do you think are the chances of this concept to actually provide a meaningful tool that can tackle the hard problems of our region? The Energy Union initiative could be an important tool for guaranteeing uninterrupted energy resource imports at reasonable prices. However, the initial idea for a common purchasing mechanism that would have aggregated EU demand allowing Brussels to directly negotiate prices and volumes with external suppliers such as Russia, fell through. The Energy Union initiative instead accepted a more limited approach to the common energy security focusing instead on strengthening the internal energy market, promoting regional gas and power interconnectedness, enhancing the regulatory capacity and independence, and expanding investment and policy coordination in the field of renewable energy technology and energy efficiency. Currently, the countries in CEE pay between 10 and 20% more per 1,000 cubic meters than their Western European peers. An energy union will aim to limit such large price discrepancies by insisting that the international market sets prices, rather than bilateral political agreements. This aims at restricting the use of energy leverage by large suppliers, such as Gazprom, for achieving political impact in the South East Europe and Black Sea regions. This could happen by pushing for more transparency of bilateral gas deals between Gazprom and national gas incumbents in the region. Another way would be to draw a strict line between commercial infrastructure projects and strategic ones. The former should not compete for EU financing with the latter, as funds from the Connecting Europe Facility (CEF) should be devoted to key gas projects that boost alternative energy sources, crisis supply management and regional integration of markets. The conflict in Ukraine has served to mobilise the efforts of the EU to accelerate gas projects along the North-South corridor linking Baltic and Aegean regasification terminals, as well as integrating CEE markets. The chances are high that if the short-term evaluation of projects, which is usually based on a simple financial cost/benefit analysis, is overcome, the majority of them would be actually built. Currently, there seems to be a certain disconnect between how the Black Sea is discussed in military and security circles and how it is discussed by oil and gas companies operating there, in the sense that the latter seem less concerned about geopolitics and its impact on their day-to-day business. At the same time, Russia has announced a very ambitious plan for the modernization of the Black Sea fleet. In a highly charged geopolitical environment (which gets complicated by the hour), how is this excessive militarization of the Black Sea likely to affect offshore E&P operations? Does it threaten oil & gas operations in the Bulgarian sector of the Black Sea in the short and medium term? Is this a topic of discussion in Bulgaria? In fact, international oil and gas companies exploring for oil and gas in the Black Sea have never mentioned geopolitics as a risk. Instead they focused on the closeness of the Bulgarian gas market, in which competition is skewed to favour the national incumbent, Bulgargaz. In the medium term, though, Russian Black Sea excursions could be directed at intimidating oil and gas operations in the Black Sea as Russia would gain the most from blocking alternative domestic supply challenging its dominant market position. Bulgaria has never received an official notification of project termination for South Stream. On the other hand, Turkish Stream seems to have been shelved for now, against the incident with the downing of the Russian warplane in Turkey. In your opinion, can both projects be considered dead? Russia has abandoned both South Stream and Turkish Stream not so much because of the geopolitical situation, though it has impacted the general equilibrium in EU-Russia relations, but because both projects do not make business sense in an environment of falling gas demand in Europe and amid attempts by Turkey to diversify its gas supply away from an overreliance on Russian gas. In addition, while Turkish Stream is likely to cost less (around $11.4 billion according to recent reports) than South Stream if implemented, it is unclear how Gazprom could fund such a project considering its ongoing USD 100 billion Eastern Siberia gas program. Moreover, it is unlikely that Gazprom would actually follow through on its promise to cut the transit through Ukraine in 2019. This would undermine its long-term contractual obligations with European clients, which are usually bilateral and continue well into the 2020s. It is a whole other story that it is difficult to see who would buy all these new gas supply considering the stagnant demand forecasts for CEE and the large variety of gas alternatives in Western Europe. Bulgaria has not received an official notification for the termination of the projects as this would entail court liability for Gazprom. An investment agreement has been signed between the Bulgarian Energy Holding (BEH) and Gazprom, and a unilateral termination would trigger a law suit. Having said that, it is important to note that the Bulgarian government is still hoping that the project would be restarted in attempt to bring enough gas on Bulgarian territory to make the creation of a gas hub viable. What are the priorities of the current Bulgarian government in the energy sector? In the area of natural gas, the government has officially stated that it is pursuing the “building” of a gas hub near Varna on the Black Sea. The idea is very utopian as it entails the creation of a gas distribution center bringing together Russian gas via a reborn South Stream, domestic production from the Khan Asparuh block (if it actually yields commercial reserves) and Azeri and LNG gas via the TAP pipeline and the interconnector Greece-Bulgaria (IGB). Bulgargaz has already contracted 1 Bcm/yr of gas from the Shah Deniz consortium from 2019. LNG seems a more distant possibility as the necessary regasification infrastructure on the Aegean is yet to be built. The only regasification terminal in Greece near Revithoussa would not have enough capacity to import strategic amounts of gas. The domestic production scenario is also questionable as the consortium between OMV, Total and Repsol, which are about to start exploration drilling in early 2016, had been delaying their operations on a number of occasions signaling that their hopes for actually finding oil and gas had been overly optimistic. A reborn South Stream scenario is even less likely because Gazprom seems to have shifted its strategy away from the Southern Corridor by trying to capture a bigger market share in Western Europe via a second 55-Bcm Nord Stream line. In your view, should this list of energy priorities look any different? 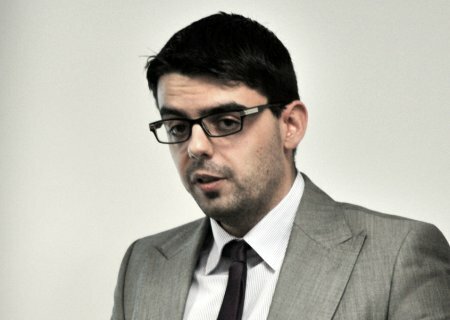 What are the main issues that Bulgaria should focus on to increase its energy security? How many of these issues depend on regional cooperation or could involve Romania or Turkey? Bulgaria should primarily focus its attention on two main areas. First, it should increase its efforts for regional market integration via the construction of the interconnectors with Greece, Romania, Turkey and Serbia. The former three could allow Bulgarian companies to source alternative gas from either Azerbaijan, offshore Romania or LNG from the Mediterranean. The latter would create the conditions for cross-border gas trading with the Western Balkans, which have long been an energy island highly dependent on just one source of gas, namely Gazprom. Building the interconnector with Serbia could additionally open the way to new supplies from the planned Krk regasification terminal on the Croatian coast. All interconnectors depend on regional cooperation and political will from the neighboring countries. In essence, these projects would not yield a favorable rate of return in the short term, which is why they have to be seen as strategic long-term endeavors. In addition to supply measures, the government would need to do much more on the demand side. More aggressive public investment programs are needed for the improvement of energy efficiency, which is still at the lowest level from all EU countries. The reduction of energy consumption would bring down the need for expensive energy imports, currently making up more than 10% of GDP each year. Reducing energy intensity in the business sector would make the economy more competitive and would diminish CO2 emissions. Enhanced energy efficiency would also reduce the energy poverty, which has undermined the political stability in the country and has prevented a full liberalization of energy markets.